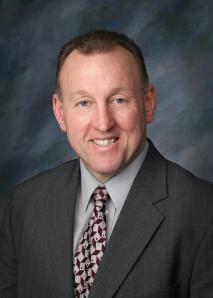 Dr. Carl Heilman was named Barton County Community College’s fifth president on July 2006. Within the first year and seizing the role as leader, Heilman effectively worked with the Board of Trustees, faculty and staff, community constituents, and most importantly, students of the college, in responding to multiple institutional needs and challenges. In collaboration with all key constituent groups, the college defined its future and set about in establishing its role as a dynamic institution that is not limited by its access to scarce resources, shifting State demographics, or cyclical financial and business trends. Heilman’s career has experienced numerous achievements in varied roles and settings. Prior to serving Barton, he was Campus President for Lincoln Trail College – Illinois Eastern Community College District; Vice President for Student services and then Vice-President for Instruction and Student Services at Northland Pioneer College in Arizona; and Chairperson/faculty, Iowa Lakes Community College in Iowa. Heilman’s ability in leading institutions in long-range planning and development of strategic partnerships with fellow educational providers and businesses and industries, has fostered student access, higher education affordability, and college growth. These factors led to an unprecedented three year tenure as Chairperson for the system council of Kansas Community College Presidents. During this tenure and in affiliation with the Kansas Association of Community College Trustees, Kansas Board of Regents, and the Kansas Independent College Association, three noteworthy accomplishments were realized: an implemented public higher education course transfer articulation process gained momentum, a public higher education reverse transfer model was introduced, and an agreement for reverse transfer was developed for both community colleges and the private college system. Under his steady guide, Barton has expanded services to the State’s military communities, extended online learning options, and has generated additional workforce training opportunities. These and other initiatives have led to Barton’s unparalleled growth of the past ten years. Heilman’s wife, Sheri, is a lifelong educator. They have two daughters and two sons.